DWYER RHP SERİSİ Sıcaklık ve Nem transmitterleri, voltaj veya akım nem verici çıkışını bir pasif sıcaklık termistörü veya RTD çıkışı ile birleştirir. Polimer kapasiteli nem sensörlerine sahip modeller% 2,% 3 veya% 5 hassasiyetle mevcuttur. Kanal tipi duvar tipi ,isteğe bağlı olarak iki satırlı alfa sayısal LCD ekranla birlikte sunulmaktadır. Dirençli termistörler veya RTD çıkışlı modeller için lütfen sıcaklık ve direnç arama tabloları için burayı tıklayın . Doğruluk, Sağlam: RHP-2XXX ±% 2 25 ° C'de% 10 ila% 90 RH; RHP-3XXX ±% 3 25 ° C'de% 20 ila 80 RH; RHP-5XXX 25 ° C'de ±% 5 20 ila% 80 RH. Doğruluk, RTD Sıcaklık Sensörü: DIN Sınıf B; ± 0,3 ° C @ 0 ° C'de (± 0,54 ° F @ 32 ° F). Gösterge: Sadece Kanal Dağı, isteğe bağlı 2 satır alfa nümerik, 8 karakter / satır. Ekran çözünürlüğü: RH:% 0.1; 0,1 ° C (0.1 ° C). RHP-2D10 Duct mount 2% RH transmitter with 4-20 mA RH output. RHP-2D11 Duct mount 2% RH/temperature transmitter with 4-20 mA RH output and 4-20 mA temperature output. 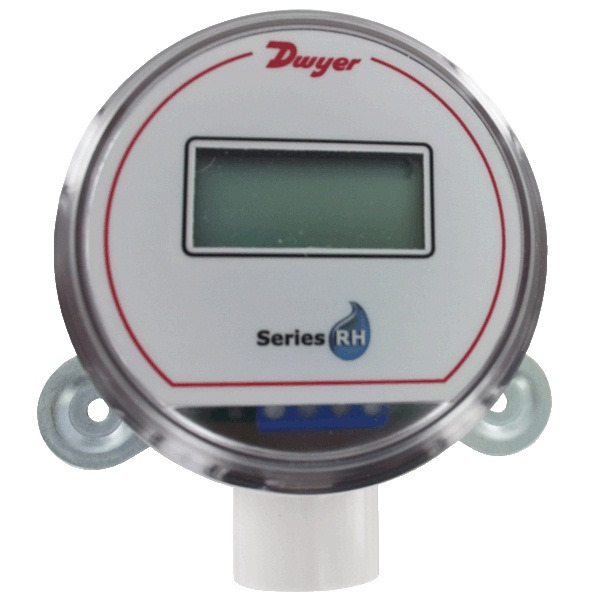 RHP-2D11-LCD Duct mount 2% RH/temperature transmitter, 4-20 mA RH output and 4-20 mA temperature output, with LCD. RHP-2D1A Duct mount 2% RH/temperature transmitter with 4-20 mA RH output and 10K Curve A passive temperature output. RHP-2D1B Duct mount 2% RH/temperature transmitter with 4-20 mA RH output and 10K @ 25°C thermistor temperature output. RHP-2D1D Duct mount 2% RH/temperature transmitter with 4-20 mA RH output and 100 Ohm RTD Curve D passive temperature output. RHP-2D1E Duct mount 2% RH/temperature transmitter with 4-20 mA RH output and 1K Ohm RTD DIN 385 temperature output. RHP-2D1F Duct mount 2% RH/temperature transmitter with 4-20 mA RH output and 20K NTC thermistor temperature output. RHP-2D20 Duct mount 2% RH transmitter with 0-10 VDC RH output. RHP-2D22 Duct mount 2% RH/temperature transmitter with 0-10 VDC RH output and 0-10 VDC temperature output. RHP-2D22-LCD Duct mount 2% RH/temperature transmitter, 0-10 VDC RH output and 0-10 VDC temperature output, with LCD. RHP-2D2A Duct mount 2% RH/temperature transmitter with 0-10 VDC RH output and 10K Curve A passive temperature output. RHP-2D2B Duct mount 2% RH/temperature transmitter with 0-10 VDC RH output and 10K @ 25°C thermistor temperature output. RHP-2D2D Duct mount 2% RH/temperature transmitter with 0-10 VDC RH output and 100 Ohm RTD Curve D passive temperature output. RHP-2D2E Duct mount 2% RH/temperature transmitter with 0-10 VDC RH output and 1K Ohm RTD DIN 385 temperature output. 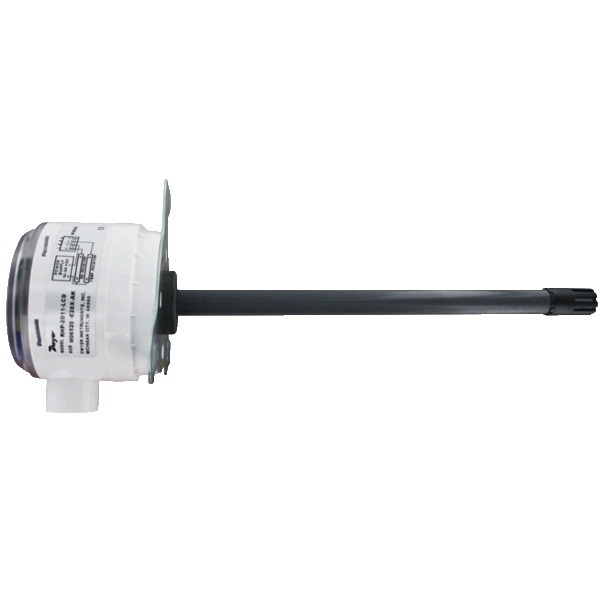 RHP-2D2F Duct mount 2% RH/temperature transmitter with 0-10 VDC RH output and 20K NTC thermistor temperature output. RHP-2F11 Sintered filter duct mount humidity/temperature transmitter with 2% sensor, 4 to 20 mA output for humidity and temperature. RHP-2F22 Sintered filter duct mount humidity/temperature transmitter with 2% sensor, 0 to 10 V output for humidity and temperature. RHP-2O10 OSA 2% RH transmitter with 4-20 mA RH output. RHP-2O11 OSA 2% RH/temperature transmitter with 4-20 mA RH output and 4-20 mA temperature output. RHP-2O1A OSA mount 2% RH/temperature transmitter with 4-20 mA RH output and 10K type III NTC thermistor temperature output. RHP-2O1B OSA mount 2% RH/temperature transmitter with 4-20 mA RH output and 10K type II NTC thermistor temperature output. RHP-2O1D OSA mount 2% RH/temperature transmitter with 4-20 mA RH output and Pt100 RTD temperature output. RHP-2O1E OSA mount 2% RH/temperature transmitter with 4-20 mA RH output and Pt1000 RTD temperature output. RHP-2O1F OSA mount 2% RH/temperature transmitter with 4-20 mA RH output and 20K NTC thermistor temperature output. RHP-2O20 OSA 2% RH transmitter with 0-10 VDC RH output. RHP-2O22 OSA mount 2% RH/temperature transmitter with 0-10 VDC RH output and 0-10 VDC temperature output. RHP-2O2A OSA mount 2% RH/temperature transmitter with 0-10 VDC RH output and 10K type III NTC thermistor temperature output. RHP-2O2B OSA mount 2% RH/temperature transmitter with 0-10 VDC RH output and 10K type II NTC thermistor temperature output. RHP-2O2D OSA mount 2% RH/temperature transmitter with 0-10 VDC RH output and Pt100 RTD temperature output. RHP-2O2E OSA mount 2% RH/temperature transmitter with 0-10 VDC RH output and Pt1000 RTD temperature output. RHP-2O2F OSA mount 2% RH/temperature transmitter with 0-10 VDC RH output and 20K NTC thermistor temperature output. 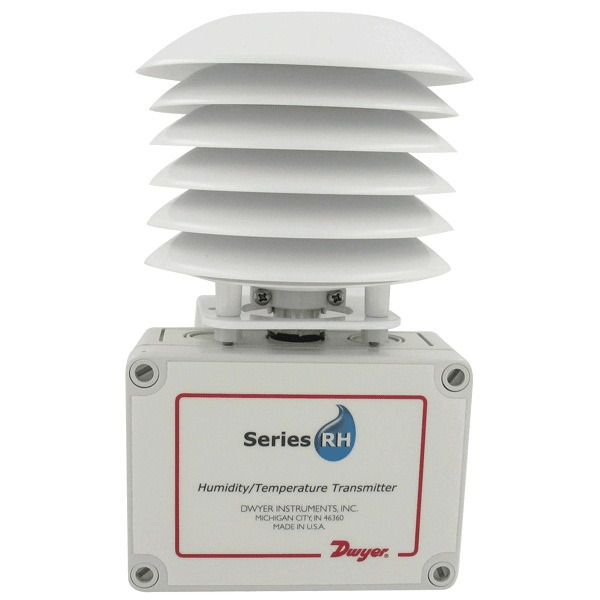 RHP-2R11 OSA humidity/temperature transmitter with 2% sensor, 4 to 20 mA humidity/temperature output with radiation shield. RHP-2R1B OSA humidity/temperature transmitter with 2% sensor, 4 to 20 mA humidity output, 10K type II thermistor temperature output with radiation shield. 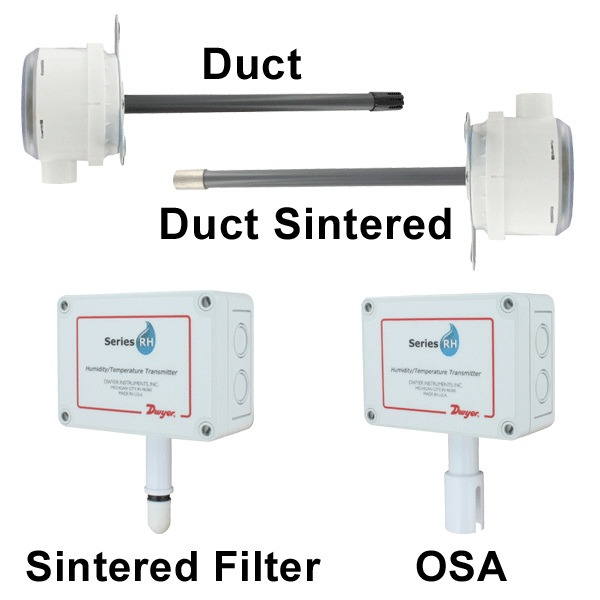 RHP-2S11 Sintered filter OSA humidity/temperature transmitter with 2% sensor, 4 to 20 mA humidity/temperature output. RHP-2S1B Sintered filter OSA humidity/temperature transmitter with 2% sensor, 4 to 20 mA humidity output, 10K type II NTC thermistor temperature output. RHP-3D10 Duct mount 3% RH transmitter with 4-20 mA RH output. RHP-3D11 Duct mount 3% RH/temperature transmitter with 4-20 mA RH output and 4-20 mA temperature output. RHP-3D11-LCD Duct mount 3% RH/temperature transmitter, 4-20 mA RH output and 4-20 mA temperature output, with LCD. RHP-3D1A Duct mount 3% RH/temperature transmitter with 4-20 mA RH output and 10K @ 25°C thermistor temperature output. RHP-3D1B Duct mount 3% RH/temperature transmitter with 4-20 mA RH output and 10K @ 25°C thermistor temperature output. RHP-3D1D Duct mount 3% RH/temperature transmitter with 4-20 mA RH output and 100 Ohm RTD DIN 385 temperature output. RHP-3D1E Duct mount 3% RH/temperature transmitter with 4-20 mA RH output and 1K Ohm RTD DIN 385 temperature output. RHP-3D1F Duct mount 3% RH/temperature transmitter with 4-20 mA RH output and 20K NTC thermistor temperature output. RHP-3D20 Duct mount 3% RH transmitter with 0-10 VDC RH output. RHP-3D22 Duct mount 3% RH/temperature transmitter with 0-10 VDC RH output and 0-10 VDC temperature output. RHP-3D22-LCD Duct mount 3% RH/temperature transmitter, 0-10 VDC RH output and 0-10 VDC temperature output, with LCD. RHP-3D2A Duct mount 3% RH/temperature transmitter with 0-10 VDC RH output and 10K @ 25°C thermistor temperature output. RHP-3D2B Duct mount 3% RH/temperature transmitter with 0-10 VDC RH output and 10K @ 25°C thermistor temperature output. RHP-3D2D Duct mount 3% RH/temperature transmitter with 0-10 VDC RH output and 100 Ohm RTD DIN 385 temperature output. RHP-3D2E Duct mount 3% RH/temperature transmitter with 0-10 VDC RH output and 1K Ohm RTD DIN 385 temperature output. RHP-3D2F Duct mount 3% RH/temperature transmitter with 0-10 VDC RH output and 20K NTC thermistor temperature output. RHP-3D3E Duct humidity/temperature transmitter with 3% sensor, 0 to 5 V humidity output, Pt1000 RTD temperature output. RHP-3F10 Sintered filter duct mount humidity transmitter with 3% sensor, 4 to 20 mA humidity output. RHP-3F11 Sintered filter duct mount humidity/temperature transmitter with 3% sensor, 4 to 20mA humidity/temperature output. RHP-3F1A Sintered filter duct mount humidity/temperature transmitter with 3% sensor, 4 to 20 mA humidity output, 20K thermistor temperature output. RHP-3F1B Sintered filter duct mount humidity/temperature transmitter with 3% sensor, 4 to 20 mA humidity output, 10K type II NTC thermistor temperature output. RHP-3F20 Sintered filter duct mount humidity transmitter with 3% sensor, 0 to 10 VDC humidity output. RHP-3F22 Sintered filter duct mount humidity/temperature transmitter with 3% sensor, 0 to 10 VDC humidity/temperature output. RHP-3O10 OSA 3% RH transmitter with 4-20 mA RH output. RHP-3O11 OSA 3% RH/temperature transmitter with 4-20 mA RH output and 4-20 mA temperature output. RHP-3O1A OSA mount 3% RH/temperature transmitter with 4-20 mA RH output and 10K type III NTC thermistor temperature output. RHP-3O1B OSA mount 3% RH/temperature transmitter with 4-20 mA RH output and 10K type II NTC thermistor temperature output. RHP-3O1D OSA mount 3% RH/temperature transmitter with 4-20 mA RH output and Pt100 RTD temperature output. RHP-3O1E OSA mount 3% RH/temperature transmitter with 4-20 mA RH output and Pt1000 RTD temperature output. RHP-3O1F OSA mount 3% RH/temperature transmitter with 4-20 mA RH output and 20K NTC thermistor temperature output. RHP-3O20 OSA 3% RH transmitter with 0-10 VDC RH output. RHP-3O22 OSA mount 3% RH/temperature transmitter with 0-10 VDC RH output and 0-10 VDC temperature output. RHP-3O2A OSA mount 3% RH/temperature transmitter with 0-10 VDC RH output and 10K type III NTC thermistor temperature output. RHP-3O2B OSA mount 3% RH/temperature transmitter with 0-10 VDC RH output and 10K type II NTC thermistor temperature output. RHP-3O2E OSA mount 3% RH/temperature transmitter with 0-10 VDC RH output and Pt1000 RTD temperature output. RHP-3O2F OSA mount 3% RH/temperature transmitter with 0-10 VDC RH output and 20K NTC thermistor temperature output. RHP-3R11 OSA humidity/temperature transmitter with 3% sensor, 4 to 20 mA humidity/temperature output with radiation shield. RHP-3S11 Sintered filter OSA humidity/temperature transmitter with 3% sensor, 4 to 20 mA humidity/temperature output. RHP-3S1A Sintered filter OSA humidity/temperature transmitter with 3% sensor, 4 to 20 mA humidity output, 10K type III NTC thermistor temperature output. RHP-3S1B Sintered filter OSA humidity/temperature transmitter with 3% sensor, 4 to 20 mA humidity output, 10K type II NTC thermistor temperature output. RHP-3S22 Sintered filter OSA humidity/temperature transmitter with 3% sensor, 0 to 10 VDC humidity/temperature output. RHP-3S2A Sintered filter OSA humidity/temperature transmitter with 3% sensor, 0 to 10 VDC humidity output, 10K type III NTC thermistor temperature output. RHP-3S2B Sintered filter OSA humidity/temperature transmitter with 3% sensor, 0 to 10 VDC humidity output, 10K type II NTC thermistor temperature output. RHPS-D2A Replacement 2% RH sensor with 10K Ohm Curve A sensor. RHPS-D2B Replacement 2% RH sensor with 10K Ohm Curve B sensor. RHPS-D2C Replacement 2% RH sensor with 3K Ohm Curve C sensor. RHPS-D2D Replacement 2% RH sensor with 100 Ohm RTD DIN 385 sensor. RHPS-D2E Replacement 2% RH sensor with 1K Ohm RTD DIN 385 sensor. RHPS-D3A Replacement 3% RH sensor with 10K Ohm Curve A sensor. RHPS-D3B Replacement 3% RH sensor with 10K Ohm Curve B sensor. RHPS-D3C Replacement 3% RH sensor with 3K Ohm Curve C sensor. 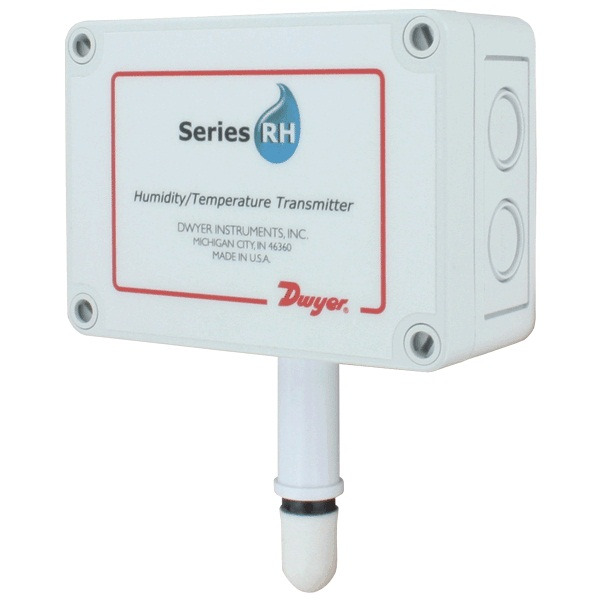 RHPS-D3D Replacement 3% RH sensor with 100 Ohm RTD DIN 385 sensor. 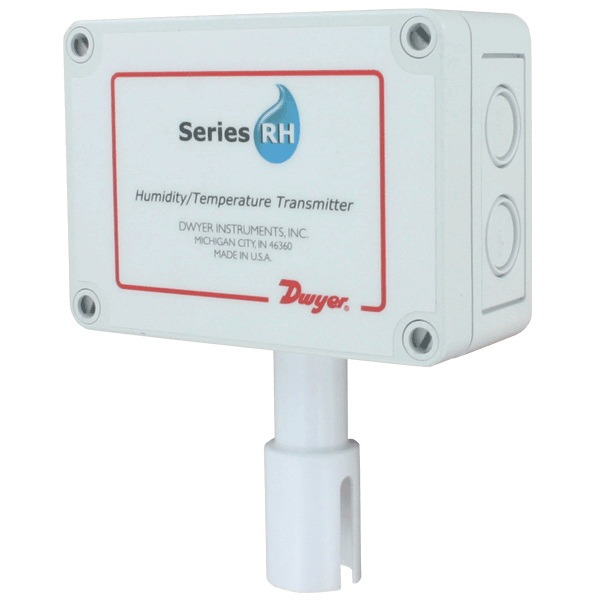 RHPS-D3E Replacement 3% RH sensor with 1K Ohm RTD DIN 385 sensor. RHPS-S2A Replacement 2% RH sensor with 10K Ohm Curve A sensor. RHPS-S2B Replacement 2% RH sensor with 10K Ohm Curve B sensor. RHPS-S2C Replacement 2% RH sensor with 3K Ohm Curve C sensor. RHPS-S2D Replacement 2% RH sensor with 100 Ohm RTD DIN 385 sensor. RHPS-S2E Replacement 2% RH sensor with 1K Ohm RTD DIN 385 sensor. RHPS-S3A Replacement 3% RH sensor with 10K Ohm Curve A sensor. RHPS-S3B Replacement 3% RH sensor with 10K Ohm Curve B sensor. RHPS-S3C Replacement 3% RH sensor with 3K Ohm Curve C sensor. RHPS-S3D Replacement 3% RH sensor with 100 Ohm RTD DIN 385 sensor. RHPS-S3E Replacement 3% RH sensor with 1K Ohm RTD DIN 385 sensor.